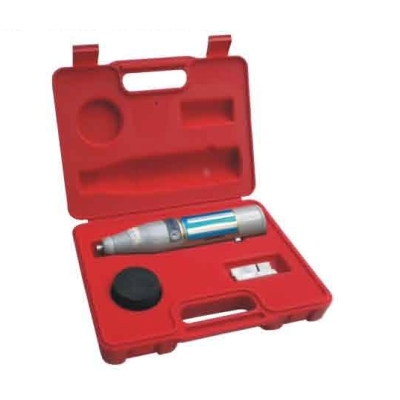 The concrete test hammer is an instrument used for the non destructive testing of concrete. It allows one to have a quick estimate of the strength of concrete. Since it simply gives and indication based on surface properties, it is only suitable for making comparisons between samples. The hammer measures the rebound of a spring loaded mass impacting against the of the sample. The test hammer hits the concrete at a defined energy. Its rebound is dependent on the hardness of the concrete and is measured by the test equipment. By reference to the conversion chart, the rebound value can be used to determine the compressive strength. Measuring Range: 10 - 70 N/mm².